Gain a better bank account for your employees. Our Access@Work checking account provides your employees with account benefits and special offers. The Access@Work program is designed to deliver value-added benefits to your employees. 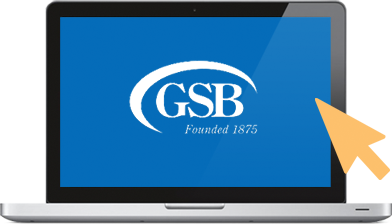 As a benefit, GSB will offer special products and services either free or at a discount to all eligible employees who directly deposit their paycheck into their Access@Work account. Your employees will be eligible to receive all the benefits of our Access Checking Account. Are you interested in providing Access@Work to your employees? Call one of our Business Bankers at (203) 453-2721 or stop by your local branch to find out more. Disclosure: Consumer accounts only. $50 minimum opening deposit required for all accounts. 1. Minimum Requirements to Avoid Monthly Service Fee: Qualifying direct deposit must exceed $250 from an unrelated third party such as payroll, social security or veterans' benefits and must occur monthly. If the minimum requirements are not met, a $15 monthly service fee will apply and rebates of Non-GSB ATM activity charges will be forfeited. 2. Message and data rates may apply from your wireless carrier. Not all wireless carriers supported. 3. Subject to credit approval. 4. GSB does not offer legal advice. You should seek specific advice regarding legal and tax matters from a qualified attorney. Products and services made available are not insured by the FDIC or any other agency of the United States and are not deposits or obligations of, nor guaranteed or insured by, any bank or bank affiliate. These products are subject to investment risk, including the possible loss of value. GSB Wealth Management is a separate subsidiary of Guilford Savings Bank. GSB Wealth Management is a registered investment advisor.